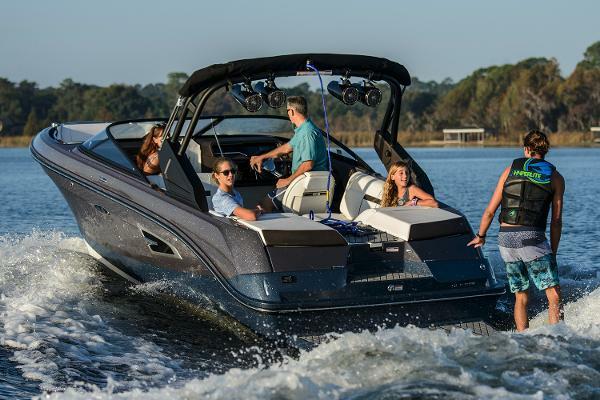 Named a 2017 Top Product by Boating Industry, the versatile 230 SLX-W delivers luxurious comfort and major thrills. Enjoy premium wake sports action courtesy of Sea Ray's V-drive propulsion system with advanced wake-shaping capabilities. 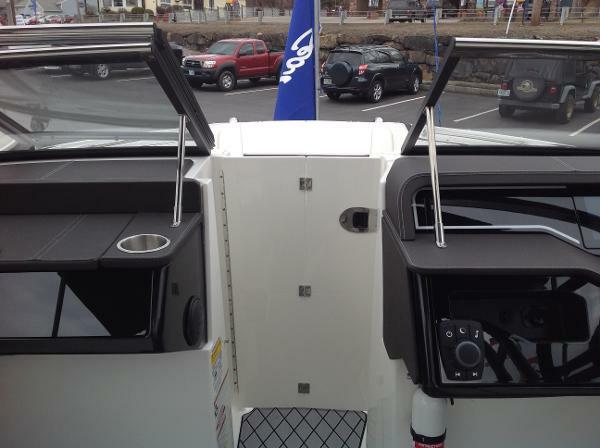 Available Mercury® Joystick Piloting for Inboards (JPI) makes for turn-on-a-dime precision and effortless docking. Factor in its superior coving and cruising amenities, and the SLX-W is your all-access pass to Orchestrated Adventure. 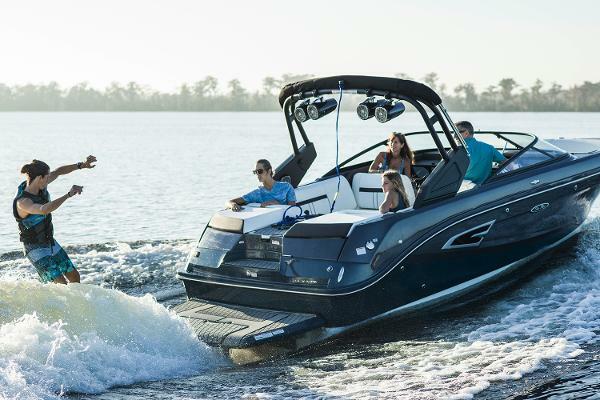 Consider the game changed: Sea Ray introduces the brand-new SLX-W 230, a luxury wake sports boat powered by a Mercury Marine V-Drive propulsion system that’s rewriting all the rules. The SLX-W combines remarkable wake-shaping capabilities with thoughtful amenities for all-day coving and comfortable cruising. 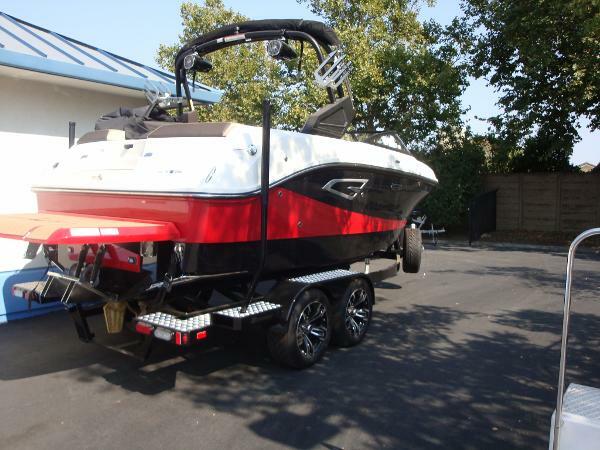 True to its SLX name, and unlike traditional tow boats, the SLX-W 230 features a deep-V hull design, joystick piloting capability, a submersible swim step, Dynamic Display™, standard watersports tower and premium fit and finish. 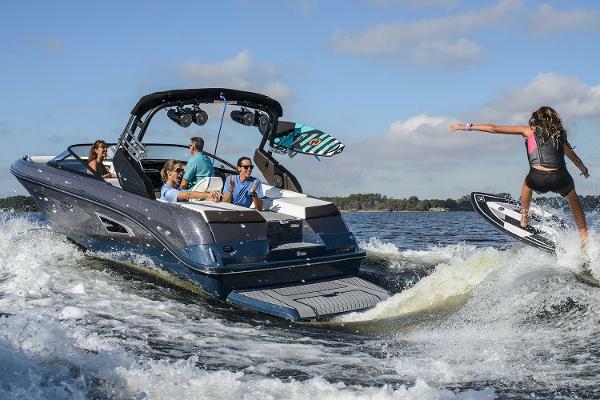 At the helm, advanced technology, including Dynamic Display™, provides easy viewing for the captain and intuitive command of wake sports functions. 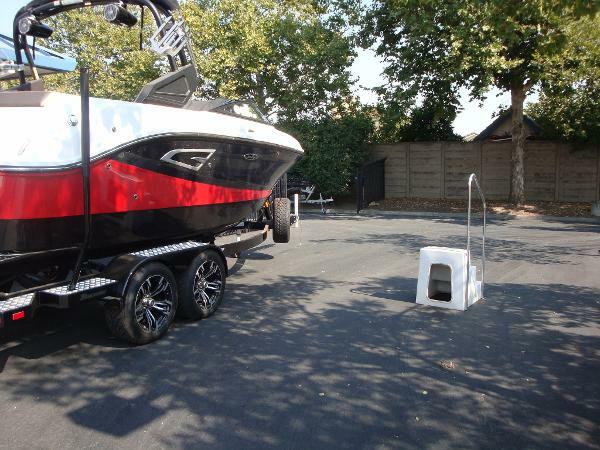 Pre-sets for wakeboarding and surfing fill the 2,000 pounds of ballast to the appropriate level and set the underwater gear for the perfect wave. What’s more, the ballast system is entirely contained within the hull, a sophisticated solution that doesn’t consume valuable storage space. The SLX-W 230 offers a fully integrated joystick control that utilizes the engine and thrusters to make maneuverability of the boat much easier and more intuitive than ever before. 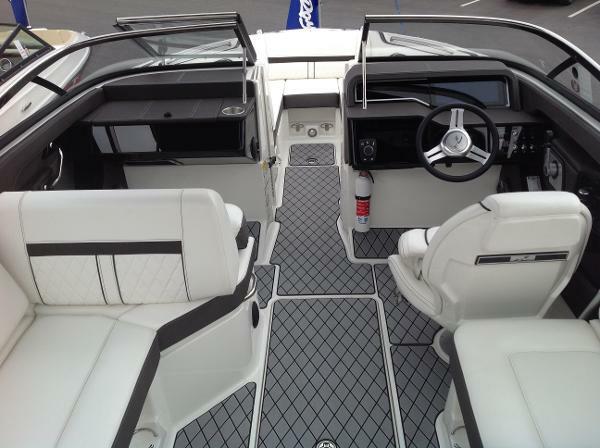 The cockpit is spacious and inviting, with a reversible companion helm seat and U-shaped seating, perfect for spending time with friends & family or keeping an eye on the surfer behind the boat. Attention to detail is unwavering; luxury elements include modern contrast-stitch upholstery and soft-touch surfaces. 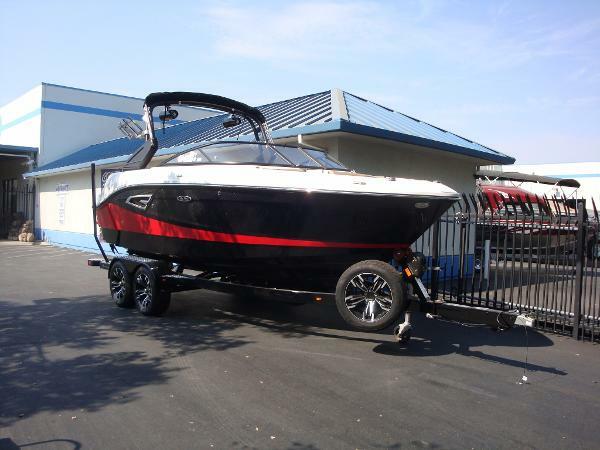 Intuitive storage placement throughout the boat, including transom trunk storage for boards, is designed to accommodate loads of personal belongings and gear. A functional and stylish forward-folding tower can be paired with board racks and optional tower speakers. 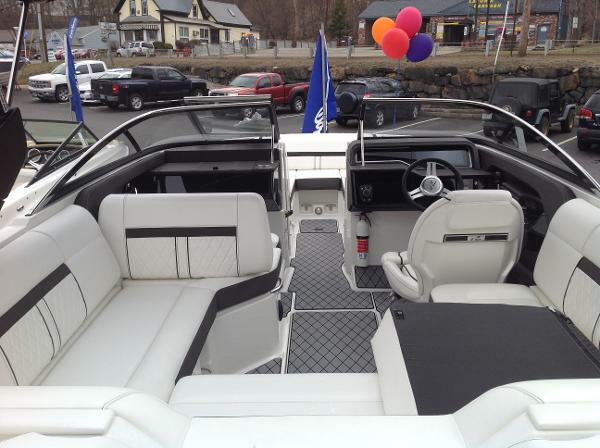 Aft, a wide, center walk-through transom makes the water accessible for everyone. Paired with an optional submersible swim step, it’s easier than ever to get in and out of the water for enthusiasts of all ages.